Just in time for Christmas, a new low-cost, low-power netbook is hitting the scenes that actually retails for only $99. Cherrypal, the company behind it, has dubbed it “Africa”, as they’re focusing the little computer on developing countries. As the company states, this is a “no thrills” laptop – it’s basic and won’t be attractive for most of the tech people reading this blog for their own heavy use. 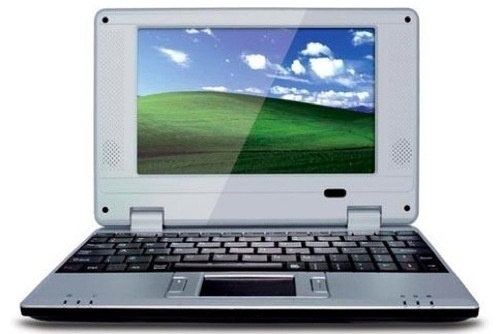 The computer runs on a 400 MHz processor and features 256 MB RAM, 2 GB flash memory, Ethernet, Wi-Fi, two USB ports and can run either Linux or Windows CE operating systems. It has only a 7″ screen as well, so it’s not a monster that you’re going to be able to do a lot of heavy work on. There’s always room for low-cost, yet usable, computers in Africa. I’m happy to see this operating as a real business, available to everyone. It’s easy enough to buy one online if you’re from the US, but how does an unconnected, no-credit card (or PayPal) owning African buy one? Let’s be honest, here we need a store that you can walk into, cash in hand, and walk out with a computer. There is no payment mechanism that works beyond in-country mechanisms and delivery to any African nation will double the price of an individual “Africa” laptop. What I’m trying to determine is the distribution model for getting these to actually be for sale in Africa for $99. Is it even possible? “We can ship to Kenya for the same cost too, let us know. Any takers? I’d be interested, but not by myself.